Interior design ideas for those of us on a budget! Another fabulous high / low design finds for those of us loving the brass trend. Trend, please note, is the keyword. What comes in also goes out. For this reason, these brass tables are the perfect place to search for a low cost find so you can enjoy the “in” and not fear the “out”. Our high find is available at Horchow for $399.00. The Evans Side Table makes a gorgeous composition next to an armchair and reading lamp. 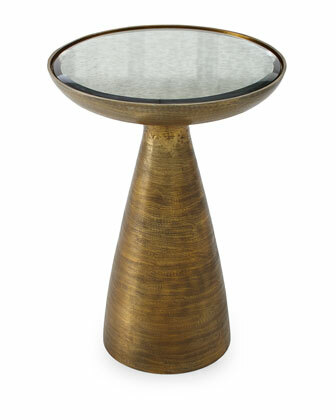 With its mirror top and brushed brass finish, the Evans table is a jewel. Now here is the low! 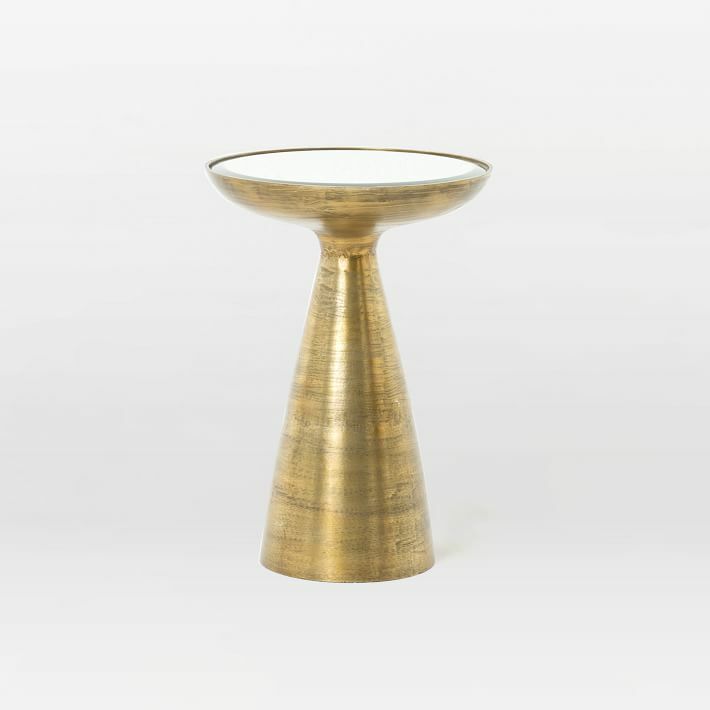 West Elm has a similar, equally sophisticated accent table – Gilded Brass Side Table. Nearly identical to the Horchow table our West Elm pick is on sale for only $239.00.